Summer vacation is a much needed break for both kids and parents and often serves as a respite from rigorous schedules that might include music lessons, team sports, and other extracurriculars. 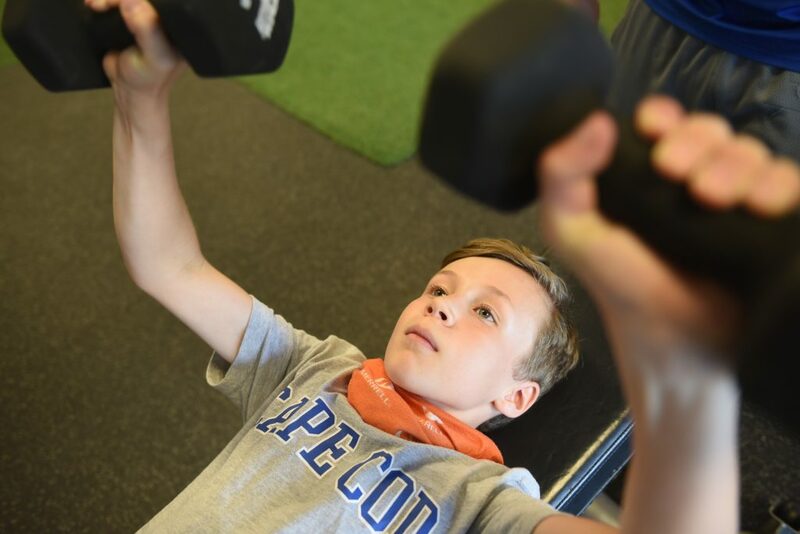 But while many parents concern themselves with summer learning loss, or summer slide, fewer focus on the potential decline in their child’s physical fitness. Just as summer brings an end to academics, for many it also closes the door on dedicated physical activity through phys ed or team sports. Moreover, childhood obesity is now considered one of the most important nutritional issues in the United States. The Journal of the American Medical Association reports a study that revealed school-based fitness interventions were an important outlet for obese middle-schoolers. “But without sustained intervention, these benefits may be lost during the extended summer break,” the study reads. Furthermore, the summer may be contributing to a widening “health gap” between children from low-income and middle- to upper-income families. During summer, fewer opportunities exist for children from low-income households to access healthy structured programs that do not require fees for participation. 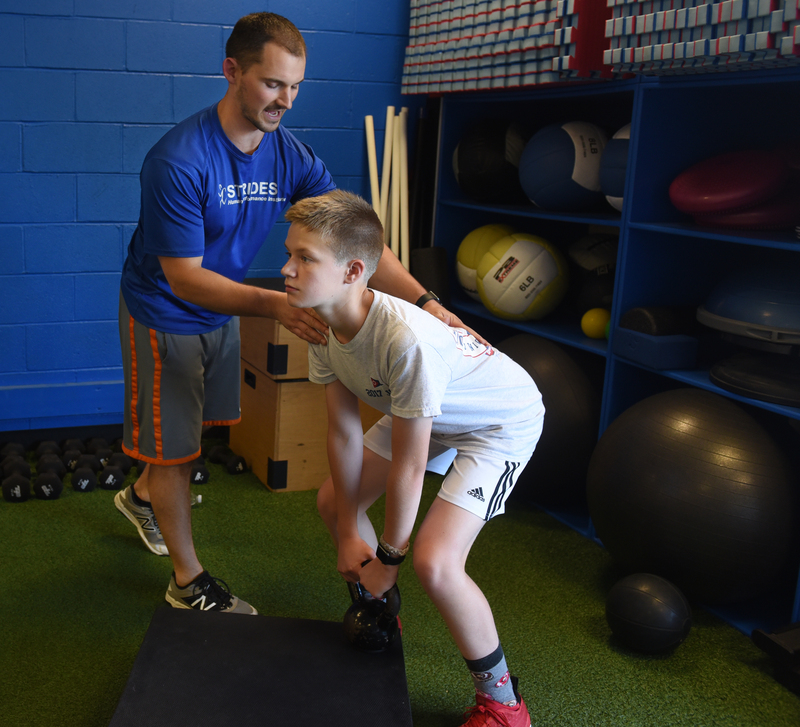 Len Haggerty, certified strength and conditioning specialist at Strides, an arm of Northampton Athletic Center, says income level doesn’t have to play a role in summer fitness routines. The idea of what’s fun, however, has changed drastically over the years; kids are more focused on their screens than taking part in a pickup game at the local park. But Haggerty encourages parents to take the reins when it comes to their kids’ physical activity. Haggerty and his team have worked with kids of all ages, from the very young to college athletes. He also serves as adjunct faculty and Clinical Educator for Westfield State University’s Movement Science Department. He cautions, “there’s a lot of research that’s being done that shows the detriment of being on the screen so much.” Indeed, a 2012 neuroimaging research study showed excessive screen time damages the brain. 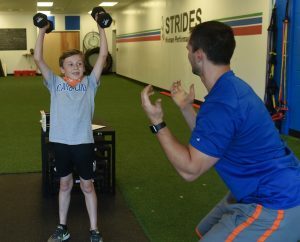 Aiden Cleary,10, works with Jeremy Dillon, a performance coach at Strides, Human Performance Institute in Northampton. Carol Lollis photo. Adults, too, might take heed and team up with their kids for a health-conscious family routine. Children are, after all, more likely to follow in their parents’ footsteps. The next Whole Life Challenge begins at the end of September, but anytime is a good time to make your own challenge using these principles to encourage your kids (and yourself) to stay mindful of their physical fitness.